Europe’s Largest South Asian Film Event, the Bagri Foundation London Indian Film Festival, now into year seven, returns to London, from 14 – 24 July, today announces the first raft of its programming with key festival partners BFI. The full line up of the festival, which will be announced in June promises a schedule of some of the most prestigious and audacious new independent films from South Asia, and if the BFI Southbank schedule is anything to go by, this year, the Bagri Foundation London Indian Film Festival will certainly live up to its reputation of showcasing the most cutting edge films from across the Indian subcontinent. 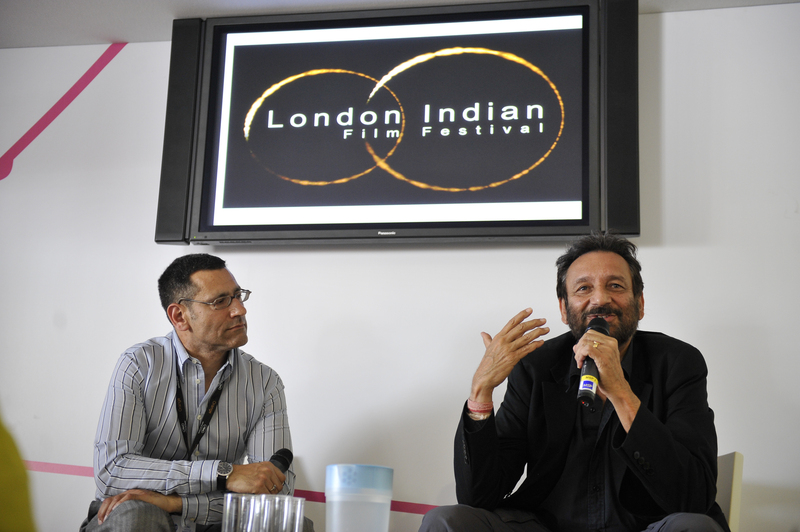 The meticulously curated sessions with BFI Southbank include some spectacular talks by top talent including South Indian and Bollywood superstar Kamal Haasan, who gives a rare Screen Talk, and Director Shekhar Kapur, most famous for his multiple top tier award winning “Elizabeth” films, starring Cate Blanchett, as well as films that cover the linguistic nuances and cultural diversity of the Indian subcontinent. A special “Women with a Movie Camera” debate supported by Sun Mark Ltd, will bring together some of South Asia’s greatest female filmmakers, including double Oscar®-winner Sharmeen Obaid-Chinoy, and Leena Yadav, whose critically acclaimed film “Parched” stole the show at TIFF. Audiences will have the opportunity to listen to trailblazers in their field, and also see their work first hand, with special screenings of their films at the BFI Southbank. Never a festival to shy away from controversy, Indian sexual diversity is highlighted in the empowering transgender movie “I Am Not He… She”, about a teenage boy who comes to Bangalore with dreams of becoming a woman. Continuing to build on its reputation as the ‘punk-rock’ of Indian film festivals, the UK cinematic premiere of the irreverent Sundance hit, the Netflix original ‘In-Betweeners’ style, coming of age comedy “Brahman Naman” screens. “We’re delighted that the festival gets such a great platform at the BFI Southbank, giving the broadest of audiences an opportunity to see world class Indian independent cinema and hear rare talks by top Indian stars and filmmakers in the UK’s cathedral of cinema. This is just a taster of what we have lined up in our seventh year, and we guarantee to not only show you entertaining films, but make you think and maybe even shock you”.